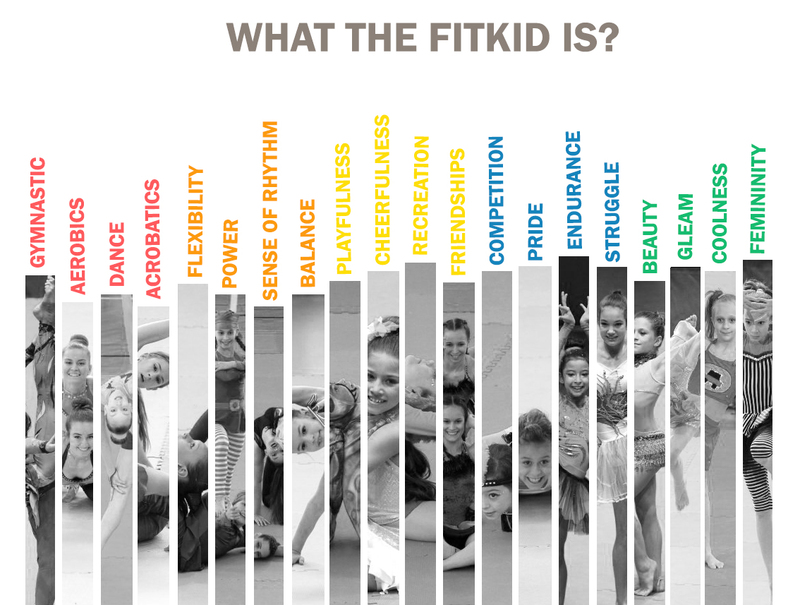 FitKid competitions are essentially about introducing a choreography for a piece of music with a length appropriate to the age group and category of the presenter containing certain, compulsorily optional moves. The choreography should be based on telling a story (presenting different characters) or on the introduction of a dance style. The moves of the routine will be chosen from 4 elements groups: flexibility, power and acrobatic elements as well as jumps. The elements have a move value depending on their difficulty, and these values are added to the final score – in the case of appropriate delivery. This will give the CONTENT score of the routine. If the competitor does not present the given element according to the conditions of acceptance, the value of the element is zero. In the case of a team routine, if only one competitor makes a false element, its value will still not be added to the score of the routine, thus the value of the element will be lost. The judges will give a score to the entire movement material of the routine – including the gymnastics row, dance moves and chosen elements – also from the delivery side. It is called the TECHNICS score. In the case of a team routine, the technics score will be adjusted to the competitor with the lowest performance. The competitors get the third score based on the ARTISTIC IMPRESSION. This consists of further partial scores, and it encompasses many more aspects from the utilization of the competition space through the use of music until the delivery itself. All three aspects can be decomposed into a separate requirement system and further sub-aspects, which help judges reach the most objective evaluation possible. Judges give their scores independently of each other. In all the three cases, the highest and the lowest score will not be considered from the given scores, thus the middle score represents the valid partial score. The final score is the sum of the content, technics and art partial scores.